This Lusum 10 ball breathable ball bag is constructed using the best grade materials, for improved durability. The bag is capable of holding 10 fully inflated size 5 balls. The bag has a drawstirng closure to retain the balls in the bag. It also has a fully adjustable, 40mm wide shoulder strap for ease of transport. 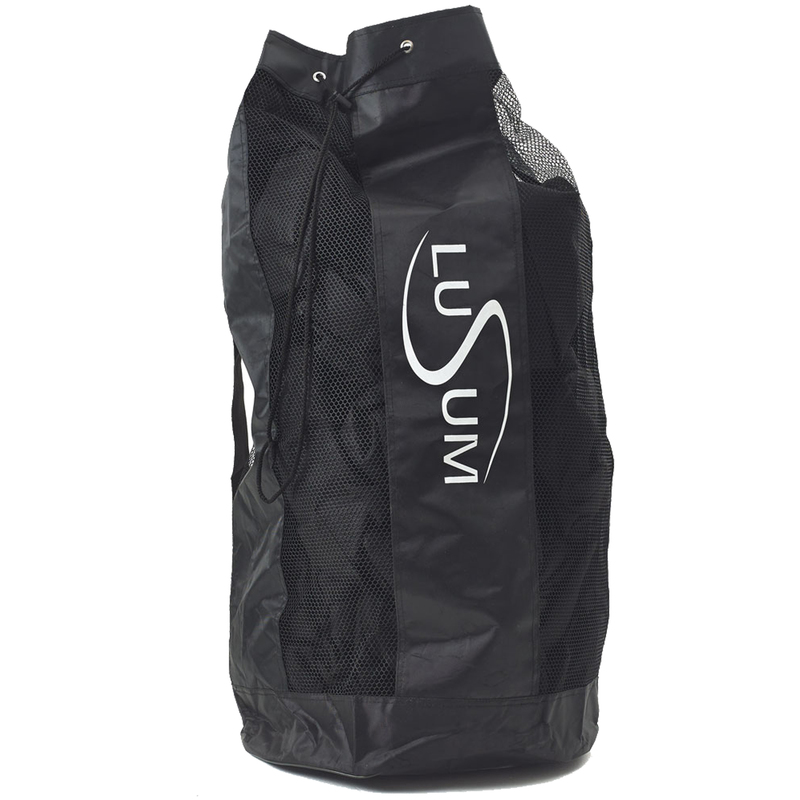 The Lusum ball bag is ideal for use with any sport and has a riveted drain hole in the base of the bag to allow any surplus water to drain from the bag. The 4 mesh side panels allow the balls to fully dry whilst being stored. Note this bag will also hold up to 8 fully inflated size 7 basketballs.